Cometa has the largest cutting area of all the Proel plotter type laser cutting and engraving machines. 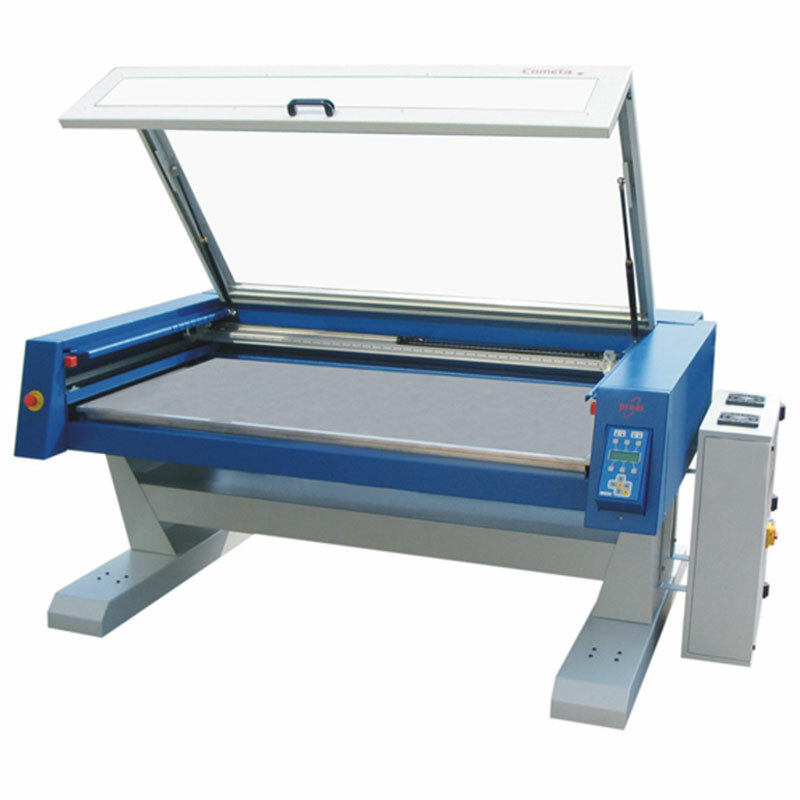 This machine, available in the 25, 50 or the 100 Watt version, is ideal for those who need to cut or engrave large patterns up to 1600 x 850 mm 63 X 33.5 inches. Roll material is supported by an optional roll feeder unit. The machine is equipped with a CO2 Laser source of 25, 50, 100 or 200 Watt (air-cooled) and a cutting head driven on two axes by powerful brushless motors. It can be configured with either a fixed cutting plane or a motorized cutting plane (for automatic loading/discharge of material). An external fume evacuation unit that may be connected to a filtering unit. Cometa also has an RS-232 interface for connection to a Personal Computer and can be set at three different power levels (usually one for cutting and two for engraving) as well as two cutting modes: constant speed or variable speed for optimizing workloads. The cutting head can be cleaned by compressed air from either an internal pump or an external source or with gases specific for laser cutting (usually Nitrogen). It also has a Laser pointer to aid in positioning the material.